For 2017, 6202 cycling changed clothing and kit manufacturers. 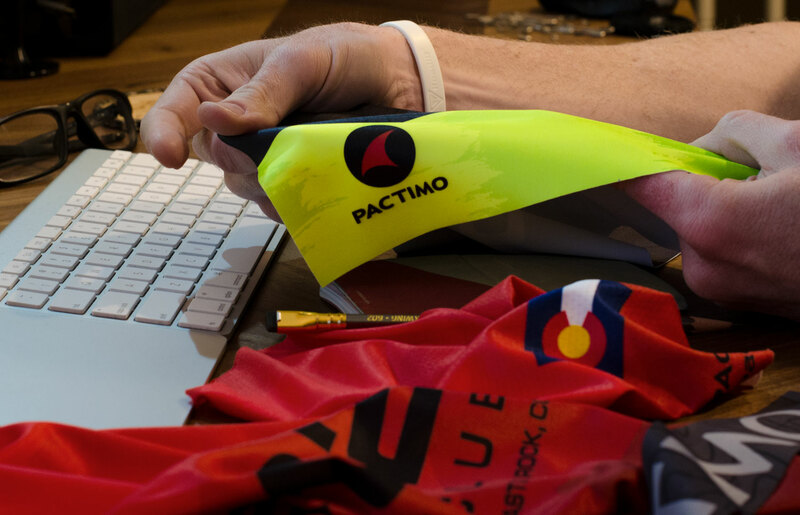 Pactimo, based out of Denver, Colorado, was tasked with providing a line up that would work for not just aero roadies, but your cafe cruisers and mountain bikers too. Not only do they offer superior quality at a similar price point to previous club kits, but they offer a host of local accommodations for fit sessions and browsing. The fabrics are state of the art with a soft touch and form breathable light-weight stretch. With styles in most categories, it was teamwork and fit sessions by multiple 6202 board and non-board members that narrowed down the first line of items being made for the club. 6202 member and artist, Bo Kristensen, set out to update the current designs and establish new ground with a mountain bike lineup. 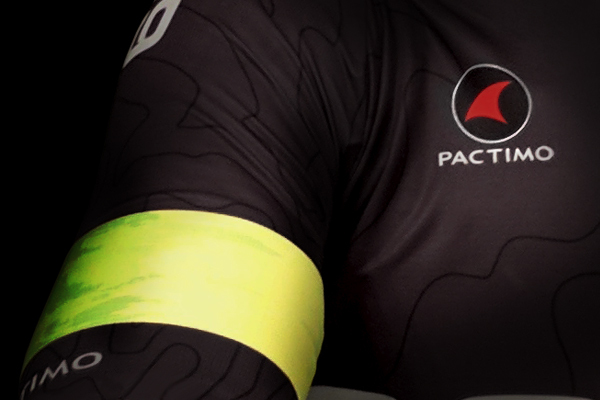 Working with Pactimo, he took advantage of modern printing capabilities and palettes to improve visibility of the road kits. On the aesthetic side of the design, inspiration was drawn from advanced bicycle testing in the wind tunnel. Heat maps produce a unique pattern as air travels over the body. 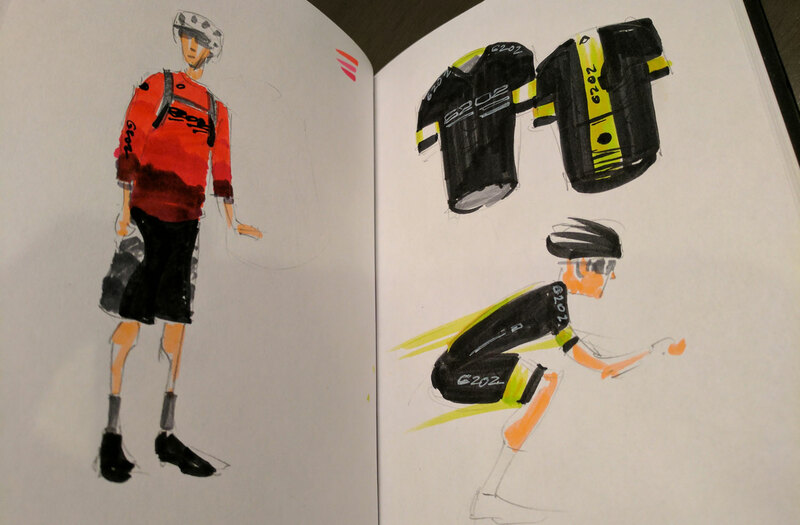 This style was mimicked with fluorescent yellows and green throughout the road kit. Continuing with the road kit design, emphasis was continually made on safety. 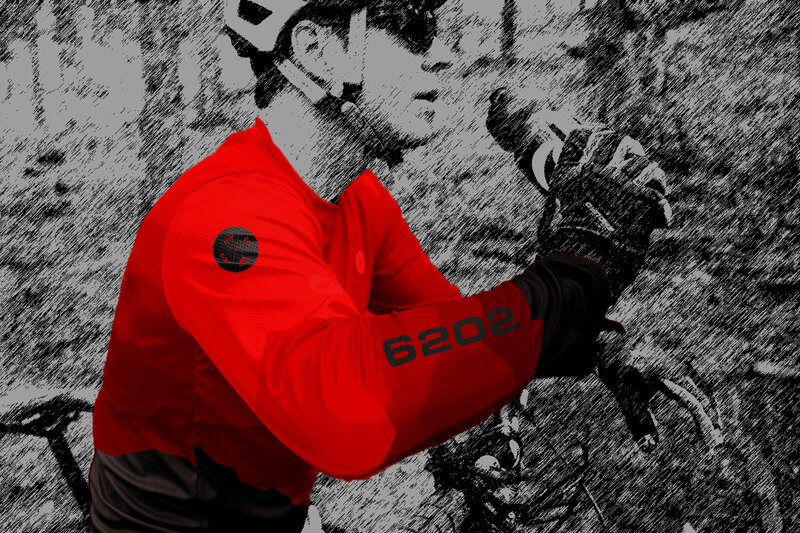 Besides a custom concoction of bright and vibrant colors contrasting a dark base, 6202 chose to upgrade their kits with reflective dot printing throughout key areas of the jersey and bibs. This printing will reflect the light of car headlights as they approach. To keep the local flavor intact, the topographical lines of Castle Rock, CO were brought back from the previous kit design by multiple member requests. The lines were darkened, thinned, and pulled from government map data for accuracy and updating the pattern. All new for 2016, the mountain bike-specific kit introduces a look that mashes the feel of epic sunset bombs with the grit of hammering stones. With input from MTB members, the emphasis here was less on being seen by cars, and more keeping cool on hot days without being lit with neon. The Rocky Mountain landscape was used as the basis for the design of the jerseys and short panels. New hues of red were introduced for the tops while shades of graphite ‘camouflaged’ out the legs. While custom clothing is great to offer our members, Pactimo also offers a discount to the club on their non-custom apparel as well. So pick up some bib liners to soften the blow of that rough terrain. Want to order the 2017 kit? The club kit is available to 6202 members only. The kit is great, but the rides and new friends you’ll make are even better. Joining the club starts at only $35 a year. So what are waiting for? Join now and you will have access to the Pactimo 6202 team store where you can order and have everything shipped directly to your home.